Thanks for stopping by I Heart Photos. 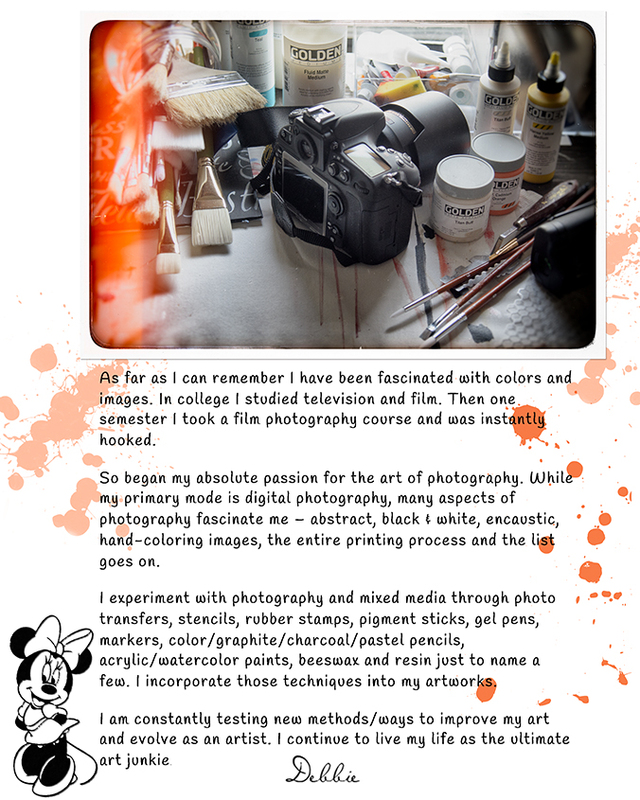 My name is Debbie and I am a Photographer, Graphic Designer and Mixed-Media Artist. I started I Heart Photos to share my work and muse about photography and other topics. Visit I HEART PHOTOS's profile on Pinterest.